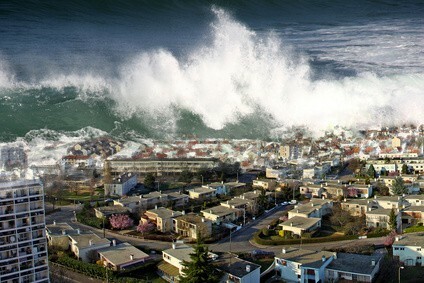 A tsunami, by definition is a "long, high sea wave caused by an earthquake, submarine landslide, or other disturbance. Tsunamis gain height and power as they reach shallow water. 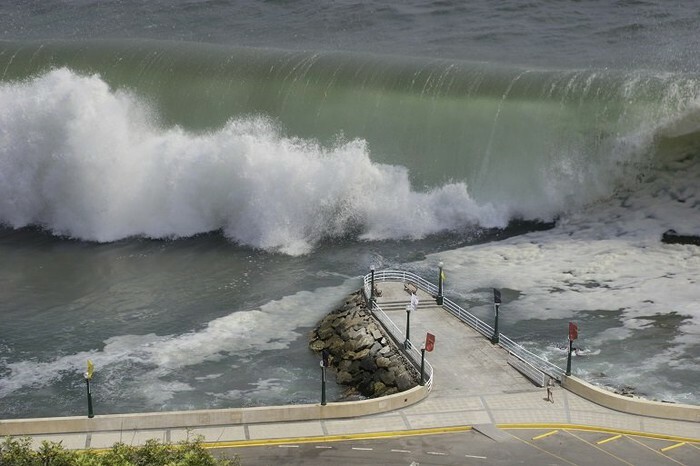 This can create tsunamis tens of feet high, making them extremely dangerous. As the wave hits the shore, the force pushes water, and drags along any debris in it's path. This makes it extremely hard for people to escape, and have a clear evacuation route. Many people can get killed, and those that survive lose everything they own. Tsunamis are extremely hazardous to humans because they are unpredictable, and cause a lot of destruction. They higher the magnitude of the earthquake or other disturbance, the more powerful and dangerous the tsunami. Looking at the Japan tsunami of 2011, nearly 16,000 people were killed, and thousands of homes were destroyed. Regions in, and around, the Pacific Ocean are most vulnerable to tsunamis. Tectonic plate boundaries lie in various places around the Pacific, making it very easy for earthquakes and other disturbances to occur. Hawaii, Japan, and other islands in the Pacific Ocean are very vulnerable, as well as the west coast of the United States and South America, and the east coast of Asia. How Is The Destructiveness Measured? Tsunamis are often classified by the magnitude of the earthquake causing it. Tsunamis caused by powerful earthquakes, such as a magnitude 8, can cause severe damage to the location it hits. There are also other names to classify the force of tsunamis by. There are meteorological tsunamis, micro tsunamis, ocean-wide tsunamis, and regional tsunamis. 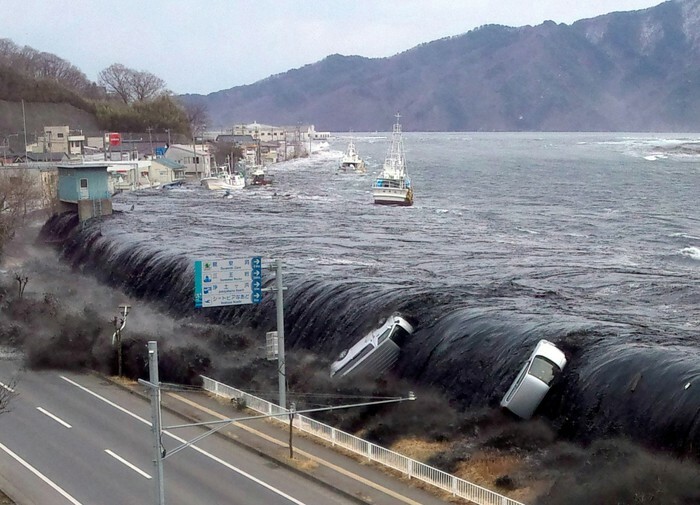 On March 11, 2011, a magnitude-9 earthquake struck Japan, and unleashed a disastrous tsunami. The disaster was unexpected, and caused nearly 16,000 people to lose their lives, and many people were never found. On February 27, 2010, a magnitude-8.8 earthquake shook Chile. 525 people were killed, and 24 went missing, a shocking amount compared to Japan's 16,000. We can prepare ourselves for tsunamis by planning evacuation routes from frequently visited locations, having a disaster kit, complete with food and water, and listen to reliable sources, such as the radio or news, to prepare yourself for tsunamis.